Aamir Khan's Dangal a massive hit in China , earns 1800 crore. In a wonderful news to Indian Cinema and Bollywood. 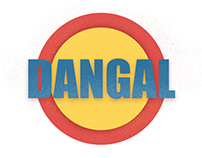 Dangal has its two third of income coming from china in a historic 2000 crore earnings. China has contributed the most. Chinese viewers have gone crazy over the movie with its feminine epicenter the movie has appealed youth and young girls specially. The movie depicts the life of a wrestlers and his 2 daughters which he has high hopes for in wrestling. Wrestling very uncharted and unorthodox territory for Hariyanvi girls. This is fun joy ride to watch with family. Amir Khan had been to china to thank and appreciate all the love the actor is getting from the neighbor. Hope the India China stress is soon resolved and peace be with us all.